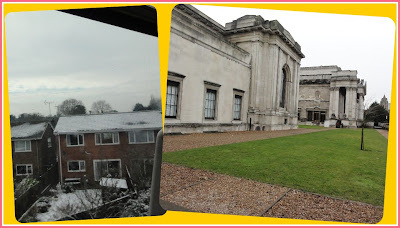 Last year I blogged about a presentation I attended called African Here and Now (you can read the full article >>Here<< ). I found the presentation very interesting as we looked at and discussed pictures of Afro hairstyles from various parts of Africa, as well as various combs for Afro hair, most of which resembled the traditional Afro comb, and some that were 6,000 years old. As I said in the previous post, Sally-Ann mentioned the possiblity of an Exhibition exploring the history of Afro Combs, intended to take place in 2013. 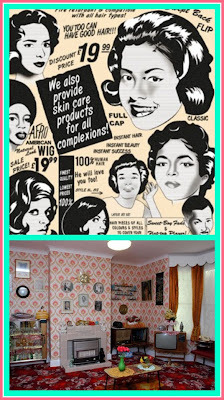 I'm pleased to say that Sally-Ann and I have since been in touch and in December I was invited to Cambridge to film a brief interview about my hair and the blog, before joining her and a number of others for meeting to discuss plans for the exhibition. I cant begin to explain just how excited I was (and am) at being invited to be involved in the project. I felt very privileged to be present at the meeting which was also attended by Sandra Gittens - Author of African Caribbean Hairdressing (Hairdressing & Beauty Industry Authority) and Michael McMillan - Curator of The Beauty Shop and The West Indian Front Room. Although Carol Tulloch (Writer, Curator, V&A) was unable to attend the meeting, I'm looking forward to her contributions to the project too, as I came across quite a bit of her work when researching for my Degree. 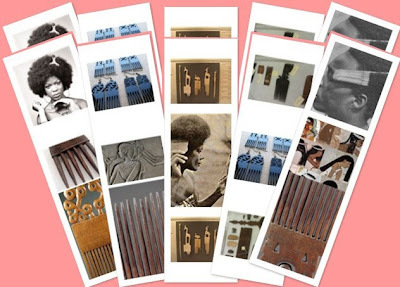 The exhibition will include displays of Afro combs through centuries, and a barber/ hair shop themed, art installation that we're hoping will be interactive. The exhibition is scheduled to open next year in 2013 and will be shared across 2 venues in Cambridge - The Fitzwilliam Museum and The Museum of Archeology and Anthropology. 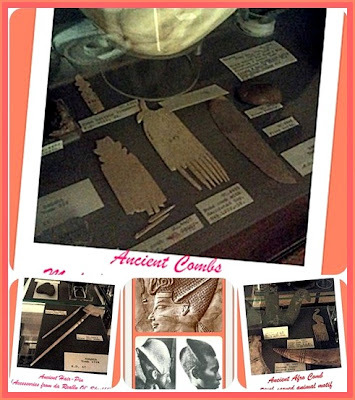 Now I cant lie, I dont know any Cambridge-based naturals yet, but I do know there's quite a few of us in London, and the good news is many of the supporting events are planned to be held here too, hopefully at the Petrie Museum and the V&A, so I promise to keep you informed. Some of the things we discussed incorporating were: essay writing, focus groups and discussions, and exploring the idea of cultural continuations and changes eg. 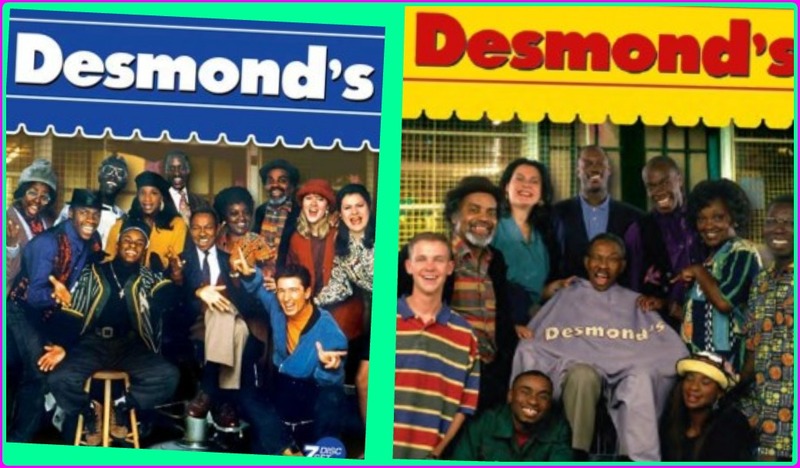 hair and culture in Africa, the Caribbean and Britain, there was even talk of contacting cast members from the classic Channel 4 TV series Desmonds! 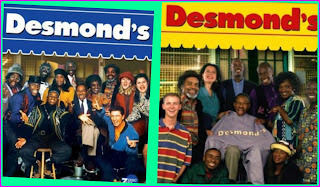 The classic 90's comedy series set in the Peckham barbershop. After the meeting we were taken on a quick tour behind the scenes of to see some of the hair combs that are already at the musuem but not yet on display. 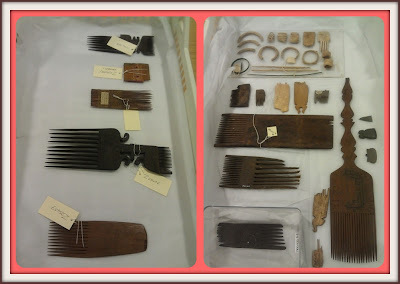 I was amazed at the trays of various combs from across Africa, and all the differing designs (some were really quite huge). The supporting events and projects for the exhibition are subject to interest, and if the events draw a strong enough interest, maybe we'll see even more exhibitions that identify with our cultural concerns in the future; so please don't be afraid to get in touch. Please keep me informed of any upcoming eventsand I would like to be involved in the focus groups. I know several people who will be interested too. 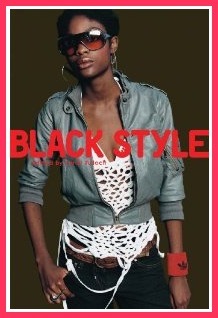 This is just fantastic onwards and upwards, natural hair to the max!